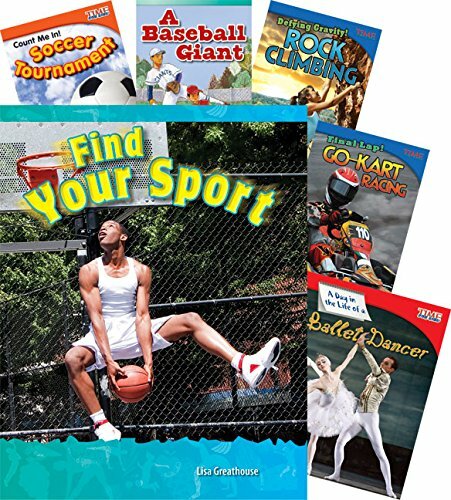 This 7-book set of fiction and nonfiction books teaches children about different sports and the importance of playing sports. With vibrant images that support the informational text, these books will engage students. This set includes: Find Your Sport; Count Me In! Soccer Tournament; A Baseball Giant; A Day in the Life of a Ballet Dancer; Hang Ten! Surfing; Final Lap! Go-Kart Racing; Defying Gravity! Rock Climbing.